Drones continue to expand their daily uses as each day passes. We’re finding tasks for them to complete that we likely would have never even considered if this was only a mere two years ago. Their technology continues to amaze us as their abilities continue to grow with each new model that hits the market. One common issue that researchers are seeing in many of the models is that the controllers for the drones can be a bit difficult to figure out. It takes a lot of practice to fly a drone, especially if you’re looking into one of the more expensive models with higher capabilities, and it can be discouraging to new pilots as well as companies that are looking to add drones to their workforce. The new Exosuit Flyjacket is definitely going to be a contender for hopefully making learning to fly a drone much easier. The new Exosuit Flyjacket is designed as an exoskeleton suit that allows new pilots better ability to control a fixed wing drone. It works off intuitive body movements and gestures that makes the person actually feel like they are flying. 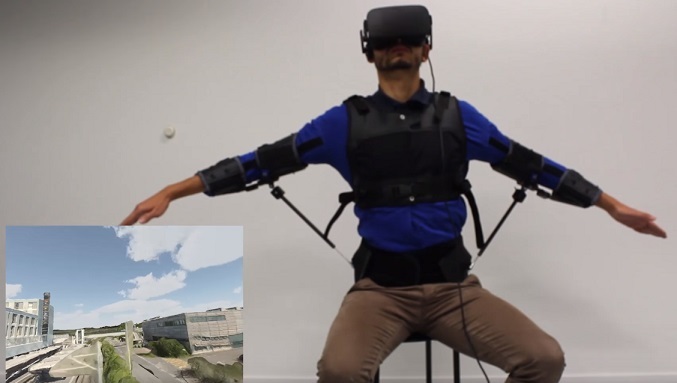 The pilot will actually spread their arms out like a bird and mimic flying to control their drone. The Flyjacket is paired with a headset and is designed to ease the discomfort that is generally associated with learning to fly with a drone controller. 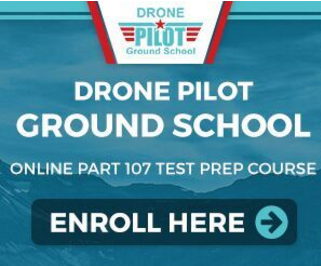 Without the need to worry about different buttons and levers on the control, the pilot is free to enjoy the flight and simply do what should come naturally as they spread their arms and control their drone. It allows flights to be enjoyed as they should be. With motion sensors throughout the exoskeleton of the flight jacket, it is able to track the pilots movements while being worn. It also comes equipped with arm supports to help prevent fatigue in the pilot’s arms. In order to work properly, the drone should be flown at a constant speed and the pilot should wear virtual reality goggles that give them a front-facing view of the drone’s flight. The Exosuit Flyjacket has gone through a number of modifications as it was tested among pilots. Researchers needed to make sure that the jacket would be comfortable without slipping in order to make sure it picked up all of the pilot’s movements. They’ve also had reports of dizziness by some of the pilots, but do believe that it is being caused more by the VR goggles than by the suit itself. Research is continuing to be conducted as the suit is perfected at the Embedded Systems Laboratory. This new controller fits easily in a backpack so taking it along for flights will not be a task. Researchers have actually seen a greater consistency in flights between experienced and non-experienced pilots versus flights controlled with a regular controller. Once this is released, it will allow pilots that want to use it while also using a controller to have the ability to tag various places as they enjoy their flight, which will make returning to those places much easier and overall allow pilots to get a better experience from their flight.